Guest author Wayne Silver represents clients in complex bankruptcy cases, bankruptcy crimes and high stakes business litigation. 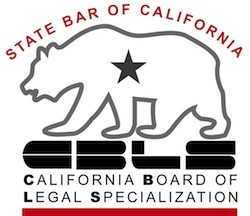 He’s not only a certified bankruptcy specialist, but the immediate past chairman of the California State Bar Bankruptcy Law Advisory Commission. To my delight, he’s a suite-mate at Moran Law Group. I’ll publish his writing here until I bully him into populating his own website.